If you're like me, the closest thing to a realized dream would be buying a piece of old property and uncovering some forgotten relic of automotive history. That's why this ultra-rare BMW E30 M3 Roberto Revaglia Europameister on eBay is the definition of a dream come true. This BMW E30 M3 Roberto Revaglia Europameister is one of 25 produced in 1989 - bearing the mark of the rarest E30 M3 Special edition ever made. By the seller's account, its EVO2 body kit was one of the original ones used to homologate the model in 1990. It has around 60,000 miles (100,000 kms) on the odometer, and at the time of writing, the high bidder is around $23,000, which is very reasonable for a car of this rarity. While the car is in the UK, the car is a left hand drive model that appears to have low mileage, with mostly original bodywork, the original wheels being included but not installed. It needs a general once-over, but doesn't seem to have any major mechanical issues, with the interior looking nearly pristine. The cosmetics do need a bit of attention, but it's nothing a competent body shop couldn't knock out in a week. If there was ever a car to watch for crazy appreciation, this would be it. This car, in running shape, would likely have no problem approaching six figures in an auction in a few years time. 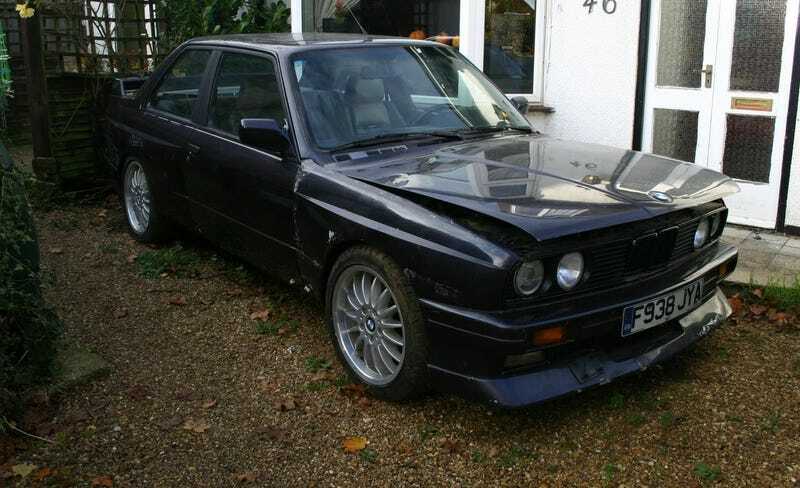 We've already seen E30 M3s without this kind of rare pedigree go for insane money, so if you'd like to start your collection off right, this is the one to get, as you will likely never see another like it.